Reservations not necessary, no cover, great menu! 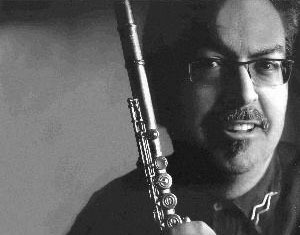 Featuring master flautists Colleen Allen, Alex Dean, Vern Dorge, Bill McBirnie and The Andrew Craig Trio. Gilda’s Club Greater Toronto celebrates their Fifth Anniversary with a Cocktail Reception including honorary members Jeanne Beker and Andrew Alexander, a street dedication, caricatures, and a performance by members of the BABES IN JAZZ LAND. Jeanne Beker is best known as the host of Fashion Television. She is also Editor-in-Chief for FQ Magazine, a regular featured columnist with the Globe and Mail, and writes a monthly style column for Inside Entertainment Magazine. Jeanne is the author of two books: The Big Night Out, a book on fashion for pre-teen girls, and an autobiography titled Jeanne Unbottled: Adventures In High Style. Jeanne has been recognized by numerous organizations for her on-going community involvement and influence in the fashion industry. She was recognized by the Fashion Group International, received the Vantage Women of Originality Award, awarded to women who are pioneers in their chosen field and was awarded the Variety Club Diamond Award. Jeanne is also on the Honorary Board of Directors of Gilda’s Club. Andrew Alexander is best known for starting The Second City Entertainment Company in Toronto which has expanded to Chicago and Los Angeles and the theater Division to include Detroit, Las Vegas and Los Angeles. He’s produced or executive produced over 200 Second City revues in Canada and the United States along with a number of co-production deals with MGM Television, Imagine Films, Disney Studios and United Artists. Andrew serves on the Columbia College Board of Trustees, the Board of the League of Chicago Theaters and is Chair of the Gilda's Club Honorary Board (Toronto). 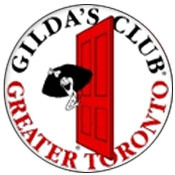 Gilda's Club Greater Toronto is a place where men, women, teens and children with cancer, their families and friends, can join with others to build social and emotional support as a supplement to one's treatment of choice. Our philosophy is based on the belief that a diagnosis of cancer affects the whole family, as well as friends, and that no one should have to face cancer alone. Come drop by and see the new offices and studios of JAZZ.FM91... the hippest radio station in the country! 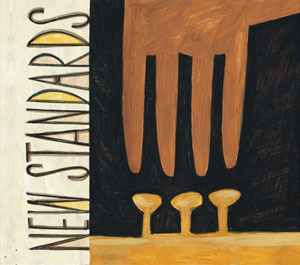 To celebrate the release of this CD, the regular Rex Jazz Jam will also feature more players than usual... some of Toronto's best known musicians will be on hand including: Robi Botos, Richard Underhill, Tara Davidson, William Carn, Ron Davis, Henry Heillig and Daniel Barnes. Also JAZZ.FM91 President and CEO Ross Porter, producer and host Jaymz Bee and others from the station will be in attendance. Kurt Swinghammer provided the original art and will also take part. Fans, friends, media and retail. There is no cover for this event! Featuring Lyne Tremblay, Julie Michels, Serafin, Roger Clown, Marieve Herington, Sophia Perlman, Big Rude Jake and many more of the cities best singers in costume. Zombies and French Maids never sounded so good! This Halloween monster concert kicks off a series of regular jazz concerts at Lula Lounge on every Tuesday, presented by Robert Mondavi Wines. This means that Lula will have an extra special selection of wines for this event.